Vaduz sits on the River Rhine and the river acts as a natural border between Liechtenstein and its neighbour, Switzerland. On the banks of the river, Travel Bug found an amazing bridge, which separates the European nations. This meant that Travel Bug could be in two countries at the one time. This made him very happy. 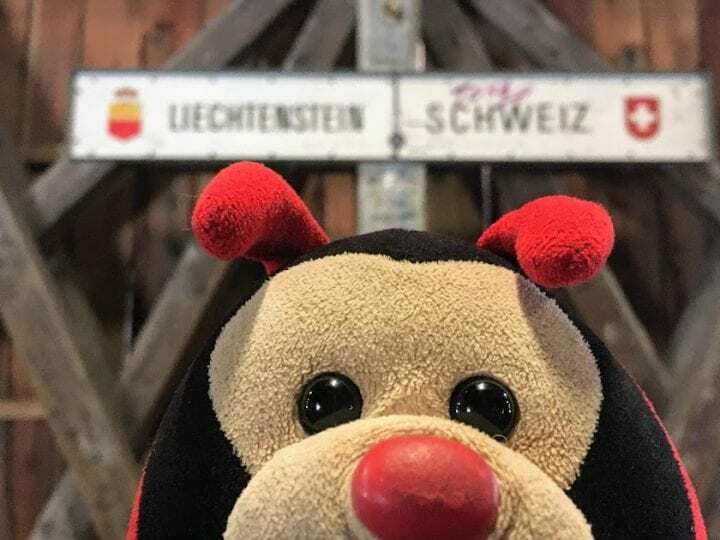 Travel Bug was very sad when he found out that Vaduz doesn’t have an airport and that he couldn’t get his passport stamped. In fact, there’s no airport in the whole of Liechtenstein, so TB spoke to the local birds and they told him he could get it stamped at the tourist centre instead. Vaduz Castle is lived in by the Prince of Liechtenstein and is not open for visitors (booo!). However, once a year all the local residents are invited to the castle for a free party. Travel Bug would like to be invited to a castle party but he’s worried his humans would embarrass him. Do you have any other fascinating facts about Vaduz to share with the Travel Bug?